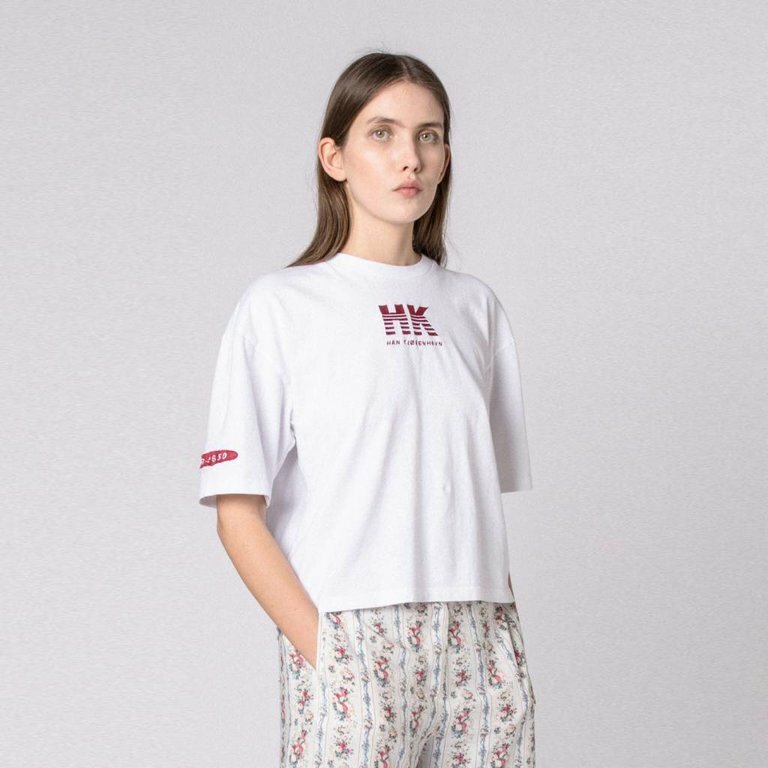 The Boxy T-shirt by Han Kjøbenhavn has an oversized fit. The sleeves are cut just above the elbow. 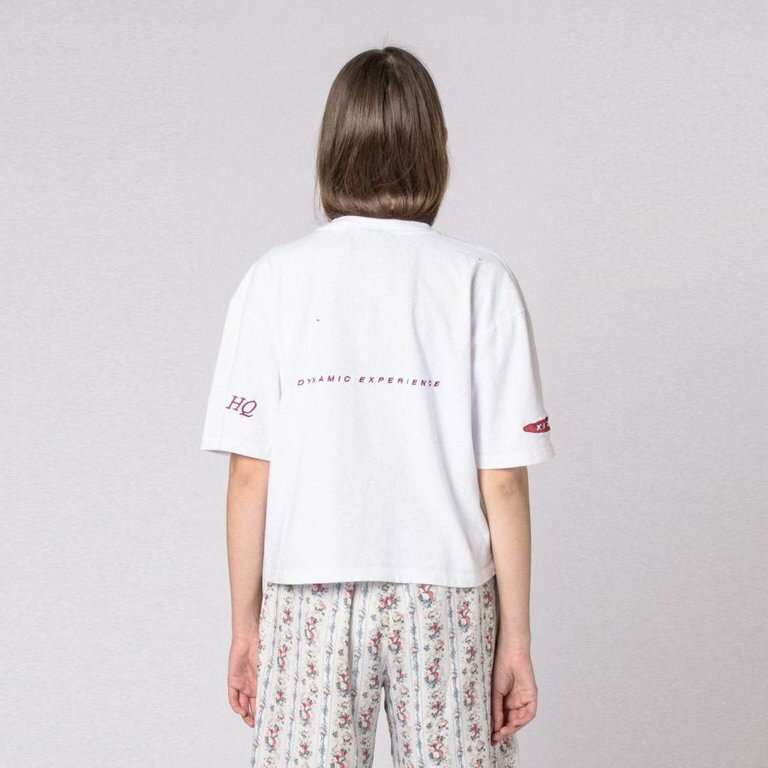 It’s made in a soft jersey cotton and features five different embroidered burgundy artworks.